Memory foam mattresses are becoming a common fixture in households around the world. These mattresses offer comfort and contour that other mattress types simply can’t match. With the rise in popularity, newer models are being made by companies the world over. These mattresses are often associated with numerous benefits. The comfort offered by memory foam mattresses over other types can offer relief and comfort for sleepers suffering from aches and pains. Buyers of memory foam mattresses also experience less motion transfer when sharing the bed with their partner. Increased durability and longevity are also noted benefits of memory foam mattresses and the improved technology of this relatively new type of mattress. The Morgedal memory foam mattress, like all mattresses, offers its own benefits and downsides. Reviews have given the mattress praise and offered complaints based on issues related to overall comfort, cost, and durability. Morgedal mattresses offer the comfort of a memory foam mattress at an economical price. Buyers looking to upgrade to this still growing and evolving sleep technology can see price tags with outrageously high numbers. That isn’t the case with Morgedal mattresses, which fit in most customer’s budgets without sacrificing comfort or durability. Those who suffer from back pain or other aches in the morning could do much worse than this affordable yet still high-quality mattress. Another benefit buyers will get from a Morgedal mattress is a long warranty. Morgedals come with a25-yea r warranty, offering peace of mind for consumers. Available as firm or medium-firm, Morgedal mattresses also have relatively easy upkeep compared to other mattresses. This increases the overall durability and lifespan of the mattresses, giving customers a better overall deal for their hard-earned money. Reviews have found that these mattresses are great for back and stomach sleepers, offering the necessary support and comfort needed for a good night’s sleep. Additionally, free shipping for customers who order this mattress online is a benefit that adds to the value offered by Morgedals. Morgedal mattresses aren’t for everyone. This fact causes issues for customers if they don’t read up on the product beforehand. Specifically, adults and heavier individuals, along with side sleepers, are discouraged from purchasing this product. Based on reviews from users, these mattresses tend to lose some of their comfort for these sleepers compared to other similar memory foam mattresses. Some of this is due to the lack of firmness options and overall height of the product. At 7.1 inches, the mattress isn’t as tall as other memory foam models offered by different companies. 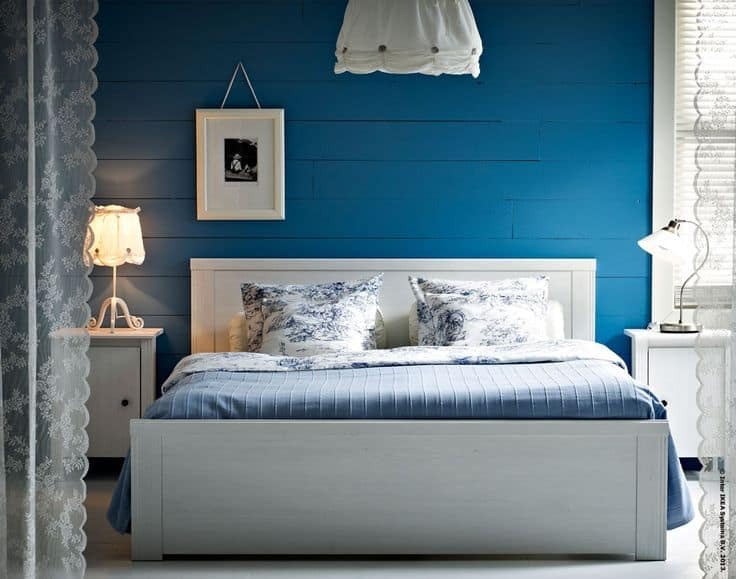 Morgedal mattresses are also only offered in firm and medium-firm, which leaves fewer options than some buyers and sleepers might need. While the durability of these mattresses is often viewed as a plus, some purchasers have noted that the mattress doesn’t hold up as well with frequent use. This isn’t a terrible surprise given that mattresses are used every night. However, you’d expect a mattress, even a memory foam one, to hold up well to nightly use for the majority of its lifespan. Morgedal mattresses can be an economical and comfortable find depending on the user. Obviously, there are some out there that are higher quality, but they also come with a higher price tag, sometimes significantly so. 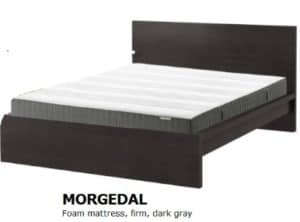 Buyers can find a Morgedal mattress with a 25-year warranty for less than $300, including free shipping for both in-store and online orders. Memory foam mattresses were a great innovation that has helped increase comfort and relieve aches and pains many sleepers struggled with. For those buyers looking to upgrade their overall comfort at a fair price, Morgedal mattresses offer benefits at a decent and affordable rate.